The #NoDAPLartmovement hashtag is bringing artists together in solidarity and resistance. As the events at the Standing Rock pipeline protest unfold, artists are banding together under the hashtag #NoDAPLartmovement to share messages of solidarity, support, and resistance. 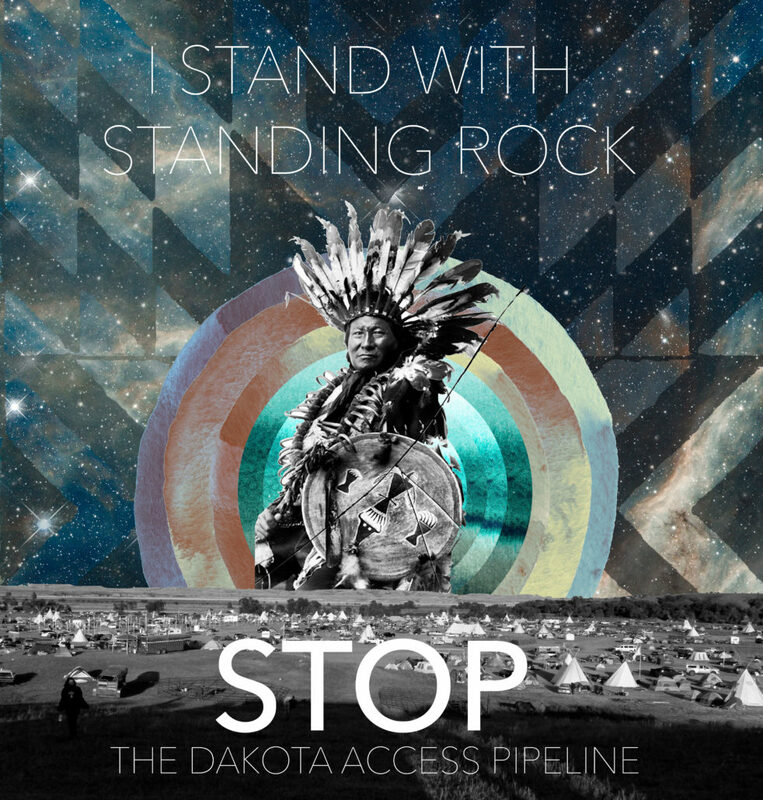 The Dakota Access Pipeline protest, and in turn the Water Is Life movement (click to keep up with the #standwithStandingRock and #waterislife hashtags), are being fought by a diaspora. Water is everywhere, and so are the people affected by it. Though the Standing Rock encampment is growing, most of us aren’t there—but many people see this as a personal battle, regardless of where you’re located. The conflict is currently centered around the Standing Rock reservation in North Dakota, where protesters are in direct and increasingly violent confrontations with militarized police, resulting in widespread injuries to protesters. But before #NoDAPL, there was Flint’s water crisis; and pipeline leaks and explosions throughout the United States; and droughts; and oil spills in the ocean; and the acidification of the seas; and the Great Pacific garbage patch; and even before that, massive dams changing the courses of most of the world’s waterways. Marshall McLuhan once wrote: “I think of art, at its most significant, as a DEW line, a Distant Early Warning system that can always be relied on to tell the old culture what is beginning to happen to it.” The emergence of the #NoDAPL art movement is a message. So what are the artists trying to tell us?